As Ottawa limps across the finish line of its snowiest January on record, cherry blossoms are blooming at the legislature in coastal Victoria, B.C. According to experts, these co-existing extremes have been predicted for some time -- and they're likely here to stay. 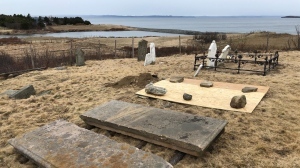 "This is the kind of thing people have been predicting for years," said Konrad Gajewski, a professor of geography and environment at the University of Ottawa. "This kind of pattern of more alternation, more extremes, both in terms of warm and cold conditions is what we're expecting for the future." 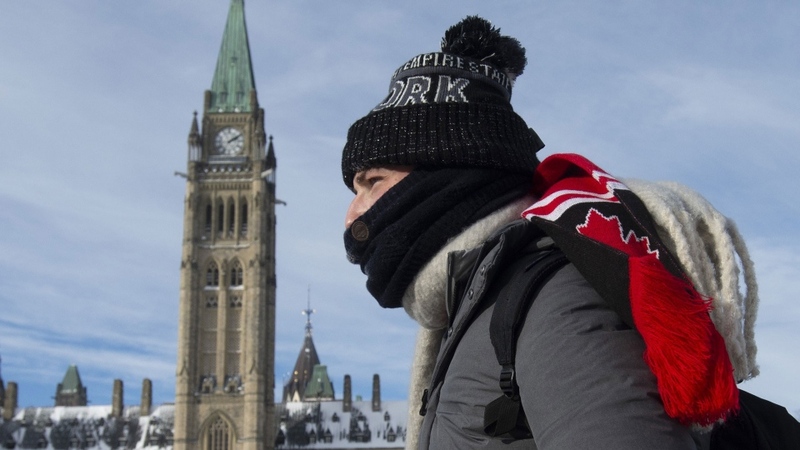 Central Canada's cold snap comes from the oscillating upper wind patterns of the jet stream, pushing the cold air down from the north with the polar vortex. At the same time, the large "waves" in the wind patterns push some warm air north, explaining comparatively warm temperatures on the coasts. The exact role climate change plays in the pattern's changes is an ongoing discussion in the scientific community, but a common belief says it's the result of a warming Arctic. "It's thought that as the Arctic warms up because the ice is melting back, we're going to have more of a situation where you have what we call 'waviness' in the polar vortex," Gajewski said. This "waviness" in the upper wind's pattern could be carrying cold further and further south into south and central Canada, and pushing warm air further north along the coast. 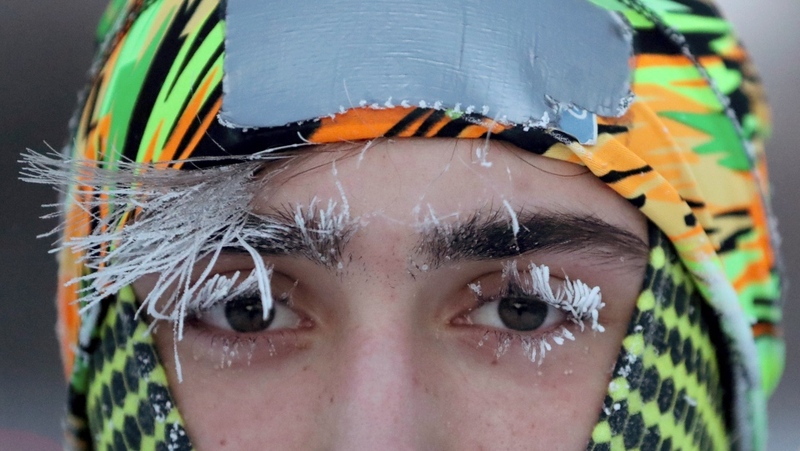 Atmospheric physics professor Kent Moore at the University of Toronto says the striking weather patterns show how the world's climate system is intimately coupled, and how changes in the coldest and warmest regions can be felt in central Canadian cities. "The largest changes in the climate are occurring in the Arctic and some would say, 'Who cares? I live in mid-latitudes, why should I care about that stuff?"' Moore said. "The Earth is kind of a small place and so things that happen in the Arctic don't stay in the Arctic." This interconnectedness of the world's climate system also explains the impacts from El Nino systems on Canada, Moore said. 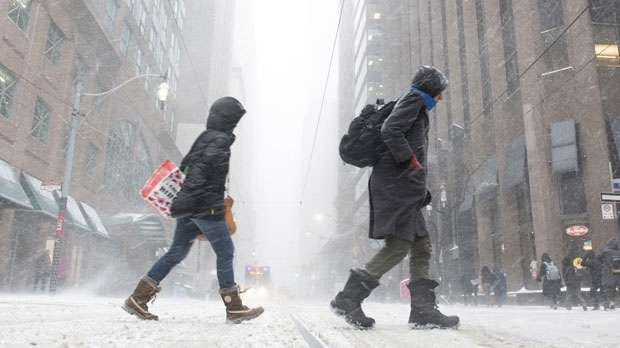 David Atkinson, a climate professor at the University of Victoria, said the jet stream's behaviour could also make the increasingly frequent, intense storms on the East Coast gain even more strength. "If the air is kind of moving apart, it allows surface air to rise more easily," Atkinson said. "That helps a storm to work, storms depend on rising air." Gajewski said the arrival of long-predicted weather patterns means it's time for all levels of government to seriously plan for changes that are already hitting Canada in the form of sweltering heat waves in the summer and record cold in the winter. "A lot of it would just be common sense. It's going to get hotter in the summers and we're going to get perhaps more snow, more rain, more extreme conditions, more floods," Gajewski said. "Cities have to be planned to deal with that kind of thing." For cities like Ottawa, which just completed its twelfth straight day of round-the-clock plowing, people shouldn't plan to retire their shovels any time soon. "We're going to have to shovel more often."